Painting has always become the way of representing or showcasing different human emotions. The large discovery of the ancient paintings in cave, ancient royal palace, temple by archaeologist suggest that different form of art was quite popular since thousands of years ago . The discovery of the ancient art treasure like “Venus of Berekhat Ram” which was claimed to be of age 230,000 years old suggest that art such as painting was practiced throughout the evolution of the mankind. Unlike any other part of the ancient world, different form of arts is widely practiced in Ancient Rome. Painting was one of them. There is no great historical evidence, neither their work had survived. However, they are accolade by many historian. Here is the list of 7 Ancient Painters in the Ancient Rome. 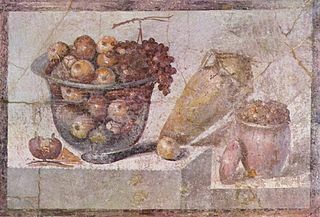 Arellius was the Roman painter of the celebrity in 1st Century BC; shortly before the emperor Augusts. Arellius was very popular in Rome. The distinct love for the women always resembles in his paintings, with the resemblance figure of prostitutes. He was first mentioned by Pliny, Roman Philosopher in his book “Natural History”. Malibu was the Roman painter popularly known for his painting of Fayum mummy portrait. Mostly known for paintings highlights and shadow, Malibu paintings contains distinctive form of nose and mouth. His famous paintings Fayum mummy portrait was either painted on board or directly onto the rags of mummy wrapping. Quintus Pedius was the Roman painter and the first deaf person recorded by name in the history. He was one of the noted painters of his time. There is no much evidence of him. However, Pliny the Elder had mentioned about him in his book “Natural History”. Quintus was a born deaf. He was taught to paint with the permission from Augustus and from advice of his paternal great uncle Corvinus. He turned out to be the talented painter, but died at the young age of 13. The fabolous painter of the landscape mural during the reign of Augustus, Spurius Tadius was accolade for his villas and ports. There were alternate names of him including Studius and Ludius in some manuscripts. Ancient Paintings of the Rome by these fabulous painters didn’t survived. However, the contribution made by these amazing painters created a big inspiration for thousands of artist over the millennium. I have paintings done in 1968 in Roma. I want to know more about the history of these paintings but I can’t make out the name of the artist. Any suggestions?